Release Forms. Lawyer Drafted. High Quality Legal Documents. A Release Agreement allows one party to release another from its past, present or even future obligations and liabilities. While an indemnification provides that one party will effectively shield another from future claims. Releasing a person or company from liability after an accident. Release of liens or claims against property. Waiver and assumption of liability, when you are about participate in certain event or activity. Entertainment Release: These include for the use of an image or to grant permission for a child to work. An Indemnity Agreement, on the other hand, is an agreement whereby one party agrees to protect another party against certain future losses or claims. These agreements are also commonly called Hold Harmless Agreements. Construction related waivers and releasea that can also be used when making progress or final payments. Document designed to release a lien on a property once a construction project is completed and paid for in full. Release Agrements that can be used to require both parties to a transaction or claim to release the other party from all claims and liability. Agreements used to release another party from liability for a debt, expense, ongoing litigtion claim or to settle any disputes. Forms for use when releasing or waiving claims arising from an accident or injury, usually when participating in various higher-risk activities including sporting events. General Releases Liability Release of all Claims. Mechanic's Lien Release This Release s a verification that there are no outstanding contractor's or mechanic's liens against a property. Mutual Releases Used by parties who agree to forever release and discharge each other from any claims arising from a specific event or occurrence. Settlement and Release (Litigation Ongoing) This Settlement and Release Agreement (Litigation Ongoing) is designed for use in all states. This form is available for immediate download. Conditional Waiver & Release upon Final Payment This form should be used to as a conditional waiver and release in exchange for final payment. Conditional Waiver & Release upon Progress Payment This form is to be used as a conditional waiver & release based on a progress payment only to the extent of the progress payment. Unconditional Waiver & Release upon Final Payment This form should be used to as an unconditional waiver and release in exchange for final payment. Unconditional Waiver & Release upon Progress Payment This form is to be used as an unconditional waiver & release based on a progress payment but only to the extent of the progress payment. Waivers & Releases Combo Package Save money by purchasing the conditional and unconditional waivers and releases together in a convenient packet. For use in all states. Promissory Note Release Form that releases a party from its obligations under a Promissory Note. Demands for Contribution or Indemnity This document sets forth a demand for contribution or indemnity between the parties to an indemnity agreement. Indemnity Agreement Forms Indemnity Agreement for use in all states. Authorization to Release Information for Potential Employers Employee Authorization to Release Information to a new potential employer. Product Release Agreement granting permission to show a product in a motion picture. Talent & Model Release Talent & Model Release for use in all states. Waivers & Releases Combo Package Get 4 forms for just $39.95. Save 50%! Save money by purchasing the conditional and unconditional waivers and releases together in a convenient packet. For use in all states. Release Forms Combo Package Get 9 forms for just $39.95. Save 76%! Save Money by getting our very popular Release forms together in one convenient packet. Waivers & Releases Combo Package Get 4 forms for just $39.95. Save 50%! Save money by purchasing the conditional and unconditional waivers and releases together in a convenient packet. For use in all states. The term “release” focuses on a wide spectrum of legally-binding contracts that deal with the willing yielding of specific rights and liabilities. A person might be asked to sign a “release” when beginning a certain risky training program, for example, that clears the training program of any liability should complications arise. In many cases, a release is simply a way of acknowledging that you’re attempting something “at your own risk,” and that you are putting your intent not to take any potential legal action down in writing. Additionally, “releases” may refer simply to the yielding of any legal claims that exist in the past, present, or future, and not simply refer to any singular event. Releases can be used for a multitude of events and situations. A “General” or “Liability” release – perhaps the most common form of release - is employed whenever you want to avoid liability as a result of usage of property. Waivers work in a similar way. Other types of releases, such as promissory note releases, will release two parties from the conditions of a contract that was signed earlier. What are some examples of releases used most frequently? Waiver/Assumption of Risk: when you are about to tackle something at your own risk, you’re often asked to sign a waiver in order to release the other party from any liabilities they might otherwise have. For example, if you were to sign up for a swim training program, you might be asked to sign a waiver before the program begins. Accident Claims Release: if someone you know has been in an accident and is asked to sign an accident claims release, it often means that the other party is trying to mitigate their future risk. Essentially, being asked to sign an accident claims release means you’re being asked to release any claims or rights under law against a person relating to the accident. Entertainment Release: A category in and of itself, entertainment release forms can include contracts that parents sign to grant permission for children to work. Other releases – such as the usage of your image for still photographs or marketing material – also fall under this category. General Releases: Often used in settlements, these forms help ensure that someone is truly releasing their claims against an individual or business. It is required that something must be given in return in order to satisfy the element of contract consideration. This is not meant as a complete list of releases, but as a list of examples of frequently-used release forms. What’s the difference between a waiver and a release form? A waiver is a type of release form, but a release form is not always referred to as a waiver. Instead, a waiver deals with the assumption of risk by one party. It is still a release form in that the person is still releasing their future claims against an individual or organization, but is unique from other release forms in that it deals exclusively with risk that has not yet been taken on. If an accident occurs after a waiver has been signed, the difference between a waiver and an Accident Claims Release is that the waiver was signed before the accident took place; accident releases instead focus on claims that already exist. What about releasing confidential information? Releases can be used in order to release confidential information about yourself. For example, an Authorization to Disclose Health Information should be used whenever someone discloses privileged health information. Using one of these when you receive confidential information will be important in establishing that you had valid and lawful access to this information and were granted explicit permission to review it. Because signing a release yields away rights and privileges such as access to confidential information, it’s important that you fully understand what you’re signing before you sign a release. This is also true for waivers and any other contract that deals with your release of future rights, such as intellectual property rights. Provided that a release is valid (see below), it is enforceable upon both the signing of the contract itself as well as the satisfaction of the provisions it contains. For some releases, however, it will simply be a matter of enforcing a contract that is valid once signed. Waivers, for example, deal with the assumption of future risk and are therefore considered enforceable from the moment they’re signed unless the contract itself stipulates otherwise. What are the requirements for releases to be valid? Like many other contracts, issues like the age and mental capacity of the signee are important in determining whether or not the release signature is valid. But an issue particularly important to many releases is the issue of consideration. In most contracts, “consideration” stipulates that in order for a contract to be valid, it should provide something of benefit to both parties involved. When it comes to General Release forms – often used in settlements, for example – this is particularly relevant. According to the law, someone should not sign away their claims, past and future, against an individual or entity without receiving some kind of compensation or benefit in return. For many other types of releases, consideration is an issue that will play a key role in determining whether or not the contract is valid. When is a release effective? Most releases stipulate that they are effective immediately upon signing, even though many releases apply to future events. For example, signing a waiver before attempting a high-risk stunt will not mean the waiver is not in effect until the stunt itself takes place. It’s important to review each release in order to understand the provisions relating to the effectiveness date of the individual release. If no such date is given, it is best to assume the release is effective upon signing. Many people have heard of signing “waivers,” “releases,” or, more generically, “forms.” When someone is going to enter an athletic event, for example, they will often sign “waivers” that “waive” their rights to sue the athletic event. Formally, these forms are known as “release of liability” forms in which the person signing them acknowledges that the other party does not hold liability for any damages sustained by the predetermined event. Consider an athlete running a marathon at a specific place - releasing the liability of that specific place means that the athlete is taking on the risks of the marathon and holding themselves liable for their own medical bills and other issues. These can be very standard and common forms, but you’ll always want to understand everything you sign. Here’s how to understand the release of liability form. In many cases, a release of liability form will be short, easy to read, and relatively easy to understand. A release of liability form that has too much jargon and too much to read should generally be avoided - in fact, this is typical for many contracts that you’re asked to sign. Admittedly, no one has time to read every single thing that comes their way, but being educated about what you sign will be very beneficial for you throughout your life, even as it comes to something simple like a release of liability form. The good news about these forms is that their simplicity generally makes them ready to read on the spot, which is often how you’re asked to sign them, such as when you register for an event. The language contained in the release of liability form should only pertain to the event at hand - if, for example, the form also registers you for something you don’t want to be registered for, then don’t sign the form. You might seem a bit prudish at the time, but the habit of not signing documents you don’t want to sign is exactly the kind of proactive habit you’ll want to cultivate throughout your life. In many cases, these releases of liability are harmless, however. For example, you know the risks of running a marathon and never plan on suing anyone else for the challenges you undertake in this regard. If that’s the case, you should have no problem signing a release of liability form related to your marathon. These types of contracts don’t only apply to marathons, but for a number of other physical activities, events, and even mental activities that you’re signing up for. The simple truth is that many things we do in life contain some amount of risk, and occasionally signing away your ability to sue someone else for damages is another risk that we have to have some degree of tolerance to. And when you consider things from the other side of the table, you realize just how important release of liability forms can be to making sure your business runs smoothly, with as few legal troubles as possible. Many people aren’t familiar with the concept of “lien,” even when they live in states that rely heavily on understanding just what lien is. Under “lien theory,” a lender technically retains interest in your property - whether you got a loan for a house, a car, a boat, etc. - and doesn’t release this “lien’ to you until the payment has been made in full. If you’re a borrower and you’ve finally seen the release of lien, it means that you’ve finally achieved full ownership in what you’ve been paying for all these years. It can be a great moment for a borrower, and even an achievement for a lender who made a successful loan. But let’s take the perspective of the borrower right now. 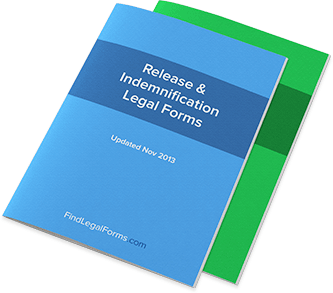 What does a release of lien form mean? Well, many lenders will retain lien in order to make sure that the ownership of the property in question is actually clear throughout the history of the loan. For example, if you were to attain full ownership of an asset immediately after being financed with a loan, you could theoretically start selling off “pieces” of that asset. The lender typically wants to deal with the original lender, which is why they like to retain “lien” when possible. So what does that mean to the perspective of the borrower? It means that the actual title of the ownership of the asset you’ve acquired might not be in your name as you originally thought - or, at least, completely in your name. That’s why it’s important to read all of the fine print not only of your lending agreements, but the laws that pertain to loaning money in your state. And because the laws differ from state to state, there’s no telling what your personal situation might look like without a consultation with the right kind of lawyer or accountant. In many cases, however, lien is a simple process that happens every time that a loan takes place. Lenders don’t often care about what happens to a piece of property after they lend the money; they just care that they’re able to collect money on it. But without the regular payments being made toward the debt the loan carries, suddenly the ability of a lender to maintain lien over the asset means that they have more control than you might have thought. When it comes to home ownership, this lien system means that the lenders can quickly foreclose on your property - after all, they retain ownership! Because of this, they can often execute what is known as a nonjudicial foreclosure - or a sale of the property they handle themselves. Understanding the implications of a lien loan can really benefit you and make sure that you keep the right attitude toward your loan for the entire loan’s duration. In many cases, it won’t affect anything as long as you make the payments - but if everyone could make loan payments, there’d be a lot less paperwork in the world than there really is.